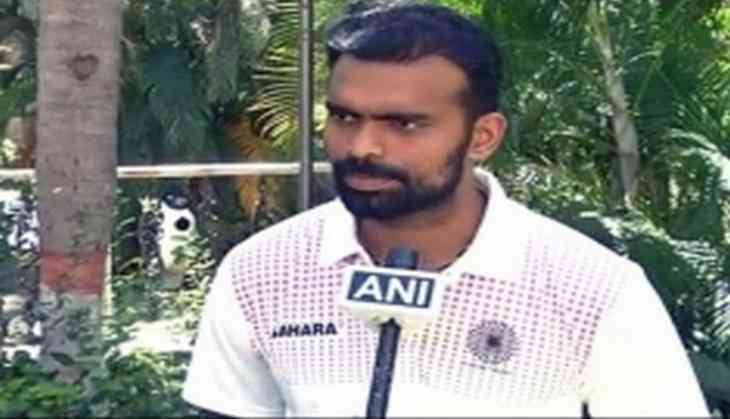 Indian senior men's hockey Team captain PR Sreejesh has insisted that the upcoming six-week camp will be a big learning curve as well as an opportunity for the youngsters to cement their place in the national team. The senior men's hockey team is going through a transitional phase and with emphasis given to juniors this new Olympic cycle, the task is cut out for the seniors. While they have an added responsibility of mentoring the youngsters, they will also need to push equally hard to keep their place in the squad. Sreejesh said, "It's a fresh beginning and with so many youngsters coming into the core probables, the juniors as well as seniors will really have to push for a spot in the national team. The juniors will need to get better and better in their skill and execution, adapt well in the camp and prove themselves that they are worthy of that position and are ready to replace a senior player." "As for a senior player, he needs to match the fitness and speed the juniors bring to the table. While we know that juniors will be the future as we prepare for 2020 Tokyo Olympics, they shouldn't take it for granted that they will make it to the squad. They need to earn it." Though the Junior Squad, who won the Junior Men World Cup last year, had a fabulous outing in 2016 and also played to their potential in the Hockey India League, Sreejesh feels the level of game will be entirely different in the senior team. "These six weeks will be good exposure for them in terms of understanding the system we follow, learn how we strategize, plan and execute. Though they have seen us train closely as the junior team and we were based in the same campus almost through the year in 2016, I believe being in the system is very different from watching us train," stated the Indian goalkeeper. Sreejesh also feels that this is a great opportunity for youngsters to learn as much from stalwarts like Sardar Singh, SV Sunil in the team. "Senior players like Sardar and Sunil showcase great work ethics and there's a lot the juniors can learn from them. As seniors we also have an added responsibility of mentoring the juniors and making sure they stay on track towards achieving the goals the team has set," he added. Speaking about the new support staff, Sreejesh said that getting two former India players into the fold is a great motivating factor for the team. "Arjun (Halappa) was an attacking center forward and midfielder while Jugraj Singh was a very good defender and dragflick expert. They understand the passion, they understand the culture of the team and it's great advantage to have them as support staff. I have worked with Hans Streeder (Analytical Coach) earlier in Coal India HIL and he is a good strategist. He was also there at the Junior World Cup as part of the Dutch team and he has watched most of our players very closely and understands where they need improvement," he said. The Indian team selection trials will be held in the following weeks to pick the final squad for the Sultan Azlan Shah Cup to be held in Ipoh, Malaysia starting April 29. "I feel that will be a great tournament to see where the juniors stand in terms of temperament and performance," Sreejesh concluded.